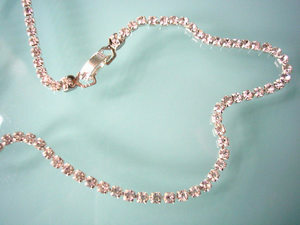 Beautiful sparkly handmade single strand rhinestone bracelet. 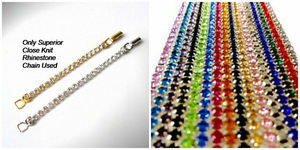 This bracelet, which is made from superior close knit 3mm rhinestone chain, comes in a variety of colours and sizes. 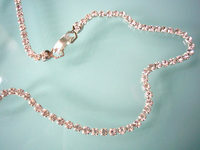 It is secured by a fold over clasp. The stones can be set in silver or gold tone metal. 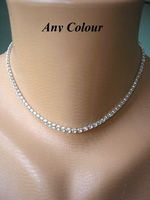 A matching single strand choker necklace is also available (please see link below.) Please make your choices from the drop down menu provided when ordering.